The forest is so varied and every one has a blast just making what ever type of tree they wanted… there is no right or wrong but most people kept within the 8 inch square guideline…. We used lots of our donated scraps, and I love this exercise in particular because it allows us to use up some of the browns and olive greens we have in our donated charity stash… colours that are not always easy to use in kids quilts. I always throw in some bright greens to the mix to add a splash of vibrancy to the forest. To finish it all off the amazing Nancy Stovall of Just Quilting, did an awesome job. She choose an all over pattern that hints at the wind blowing through the trees. I love it so much. 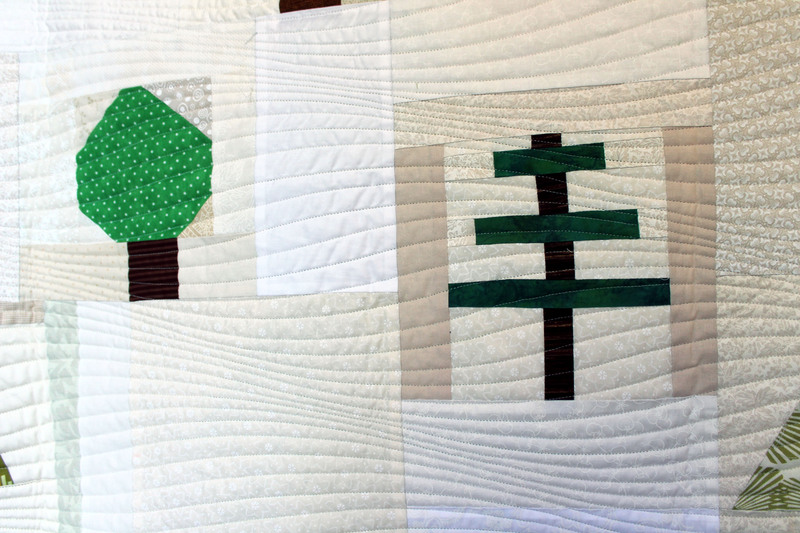 For the back of the quilt one of our fabulous volunteers, Betty, made a huge tree block…. ..that was just perfect for the back. 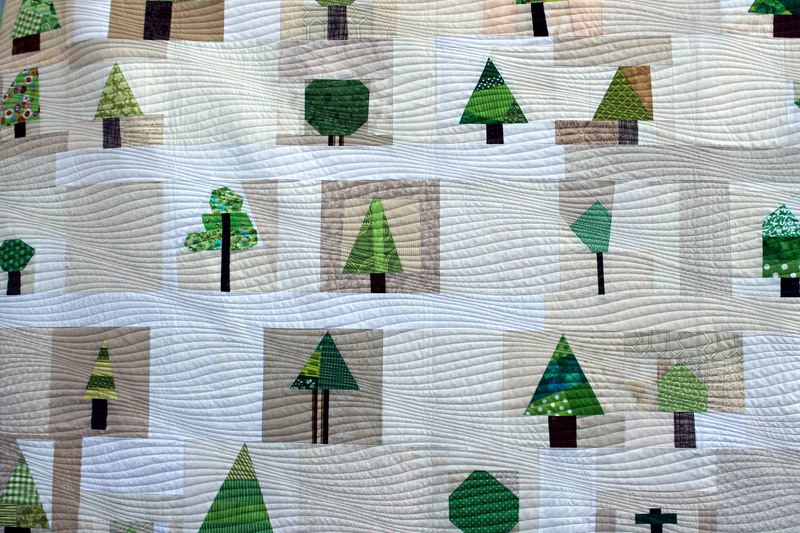 This quilt was truly a wonderful group effect… thanks goes out to everyone who played along and helped make this wonderful forest. LOVE this so much and yes, the quilting is perfection!! I absolutely love this quilt! I love the quilt in general, but I absolutely LOVE the quilting on this. What a beautiful quilting pattern! The charity forest looks beautiful. And so amazing what a difference the quilting make on it. The quilting pattern is so cool. Wonderful. 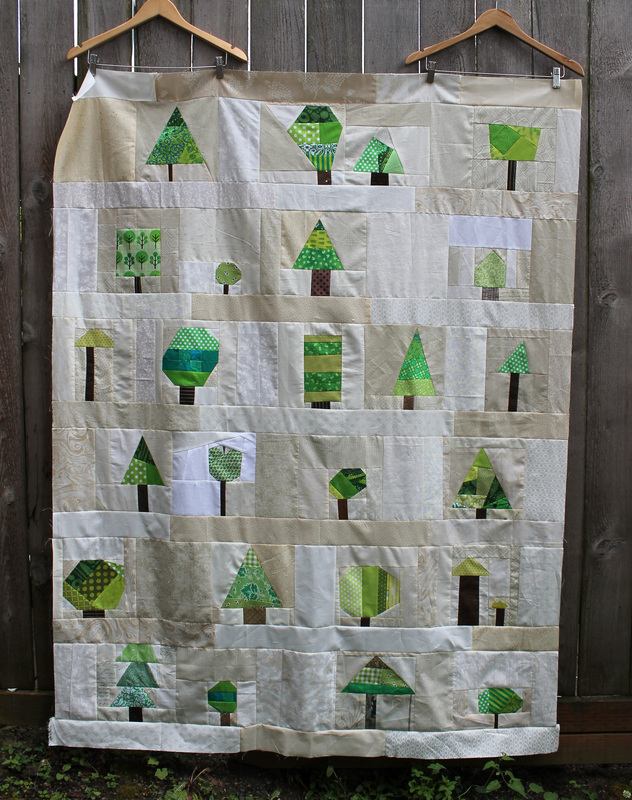 I made a tree quilt in an afternoon about 25 years ago. A quilt group I belonged to was putting on an exhibition on the theme of wood in a local chateau, and the group leader decided at the very last minute that she needed something to hang over the doorway. Speedy Gonzales will do it ( I am no longer Speedy) and so I did, thrown together with minimal quilting. 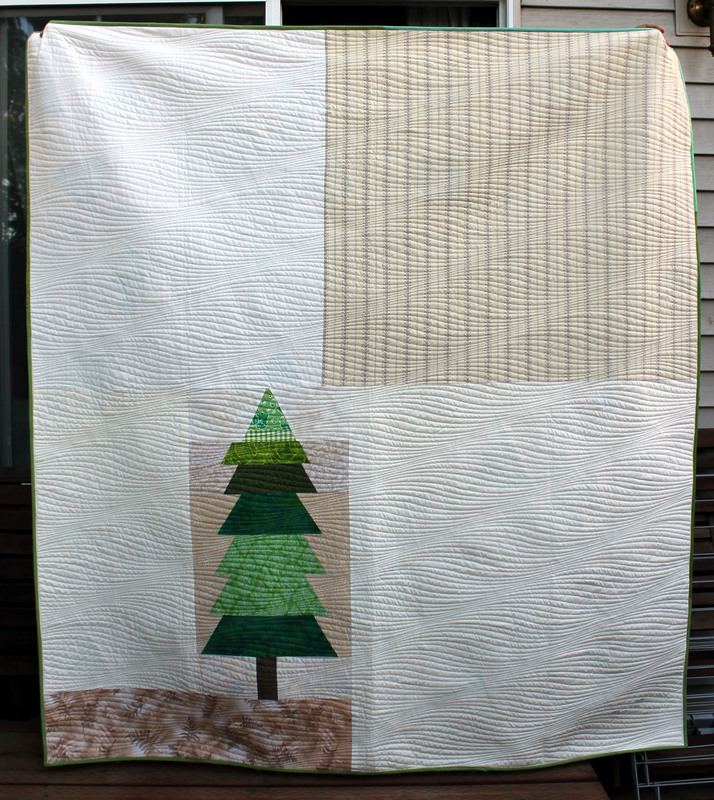 You’ll find it here: https://vivinfrance.files.wordpress.com/2012/07/tree-quilt1.jpg?w=640. Awesome quilt and GORGEOUS quilting! Love it! I love that there was even a bare tree in this particular forest! Turned out so great! 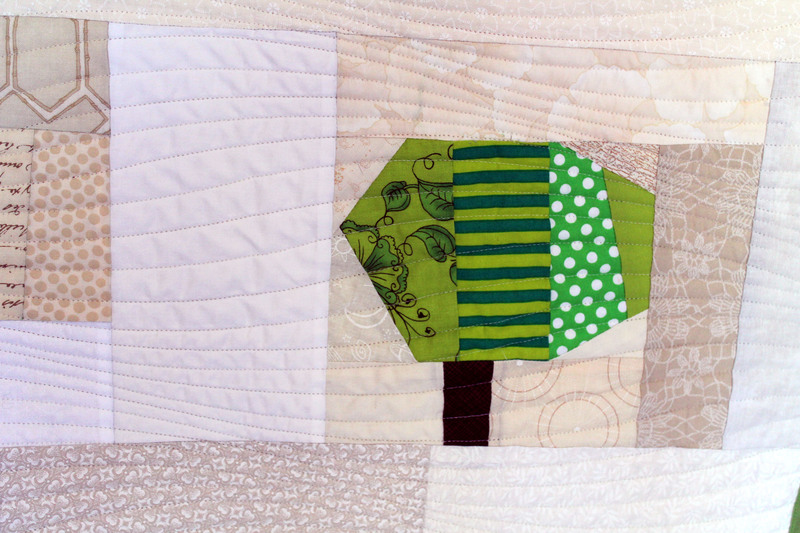 Love the quilting Nancy did! Just love it and the quilting is perfect. Oh I might just have to add this on my quilt bucket list. So lovely. 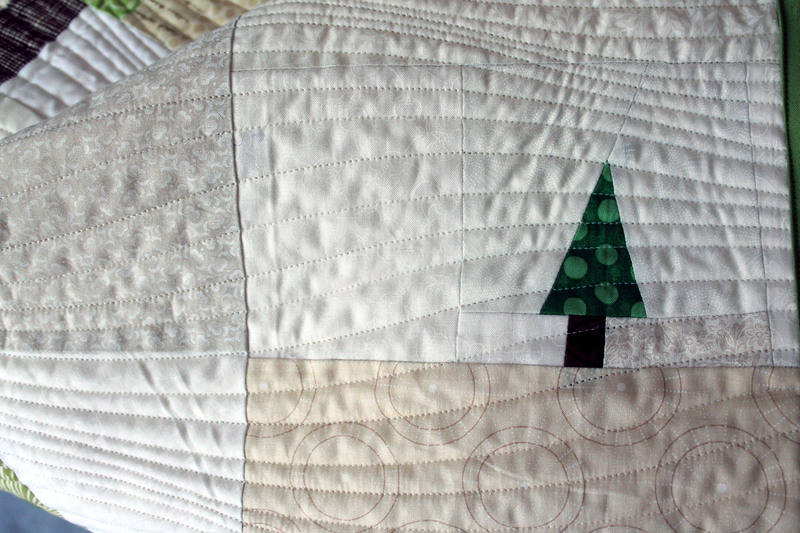 And the quilting is just right for this quilt! This is so cool and unique, love it, amazing group work. What a gorgeous quilt! 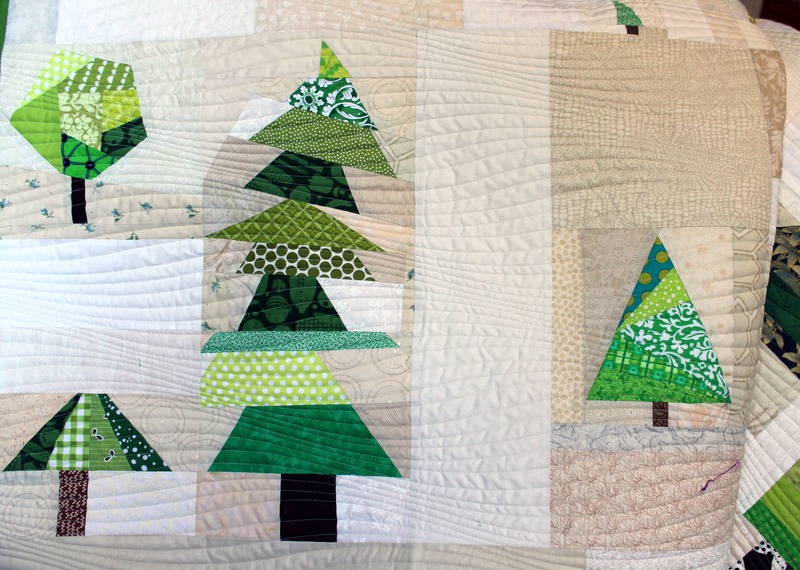 I love all the trees, the quilting…just gorgeous! Can you share the name of the quilting design? I just love it! Karlee let me check with Nancy who quilted it. I will get back to you. Please do. I would really love to get this design! 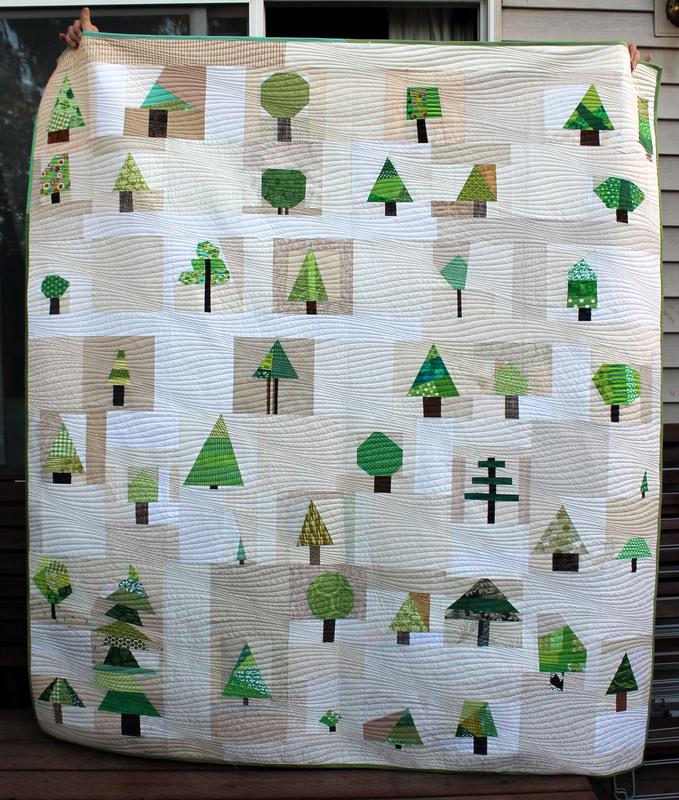 I so love this tree quilt!!! What a treasure – and now, I think I have to make one for myself!! Sometimes it is hard to give away the quilts but I know first hand how much comfort and joy they can bring. I started making quilts for the local children’s hospital where my sister was a nurse. I got to see how much my quilts were loved and treasured. I am so glad you have been brave enough to send your beautiful creation into the world, not really knowing where it will end up but believing it will do good. Bravo. What a great quilting design. It makes me think of wind in the trees. 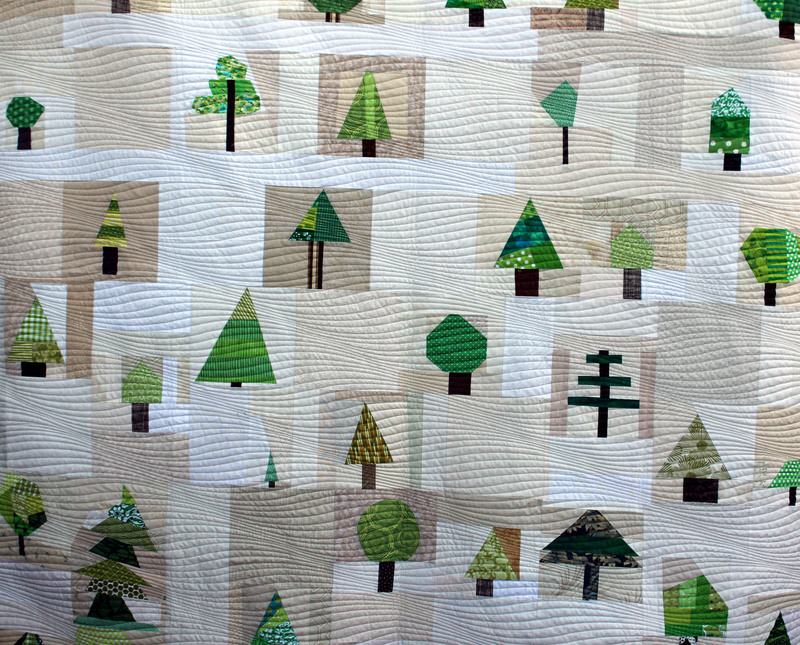 I love tree quilts. your improve ones are great!